Breakfasts generally get short shrift in my life, being that I'm always running late getting out the door for work. Most days I end up just eating a bowlful of Greek yogurt drizzled with agave nectar after landing at work. It's got such a decadent, creamy texture that I feel like I'm eating ice cream every time--definitely a nice little perk to fuel me up for the morning. Those breakfasts sure makes me a happy girl. But wait, that's not what I'm here to share with you about today! 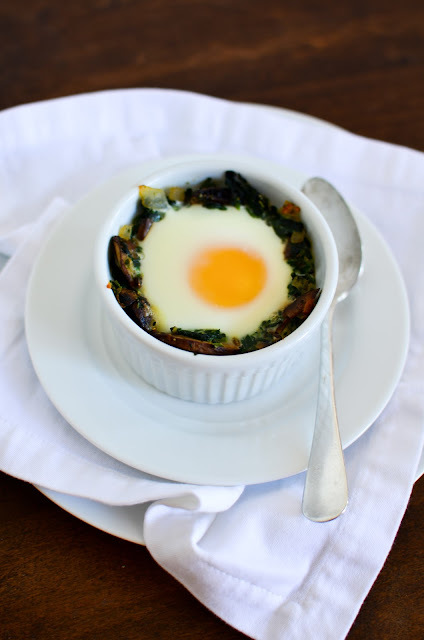 What I want to tell you about are these baked eggs. I've already posted about baked eggs before (here and here), and you know how much I love an egg over anything (like kimchi fried rice...okay, I digress once again.) On leisurely mornings, say on a weekend or a holiday, especially if friends are in town visiting, it sure is nice to take some extra time and enjoy a proper brunch. That's when I'll pull out something like this--a little savory to start the day. 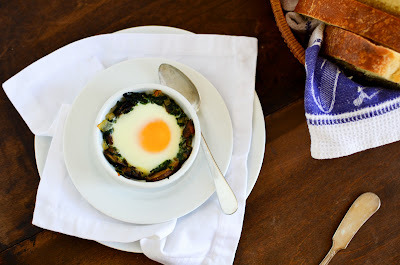 Let me tell you about these Spinach and Mushroom Baked Eggs. Sauteed mushrooms and shallots with spinach and fennel seeds make a savory nest in individual ramekins. It's so easy to prepare ahead of time, if you like, and then on the morning of your brunch, slip whole eggs into the nests and bake them up until the whites are set and the yolks are warm and creamy. 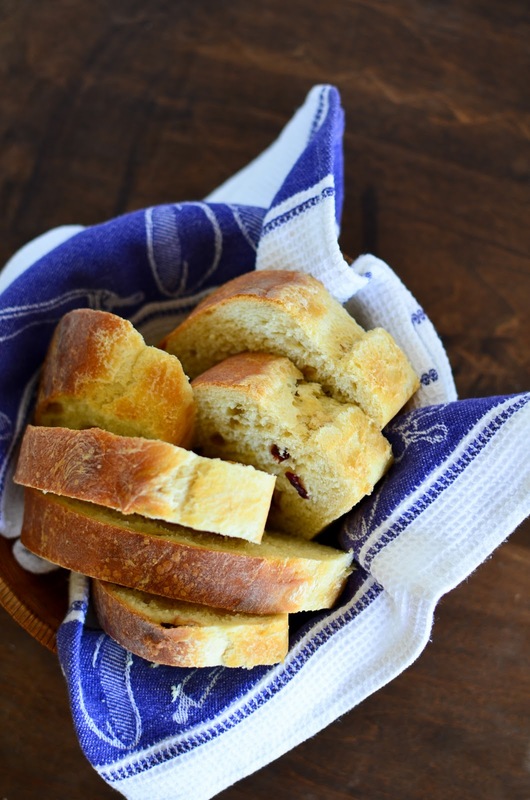 Served with some crusty bread for dipping, all you'll need to do is add some fresh fruit and you've got a great breakfast! Clean and slice the mushrooms, then saute in a little olive oil until browned and cooked through. Transfer to a mixing bowl and add the thawed and drained spinach and set aside. Saute the minced shallots and garlic until soft and translucent, then deglaze pan with white wine and let boil until reduced by half. 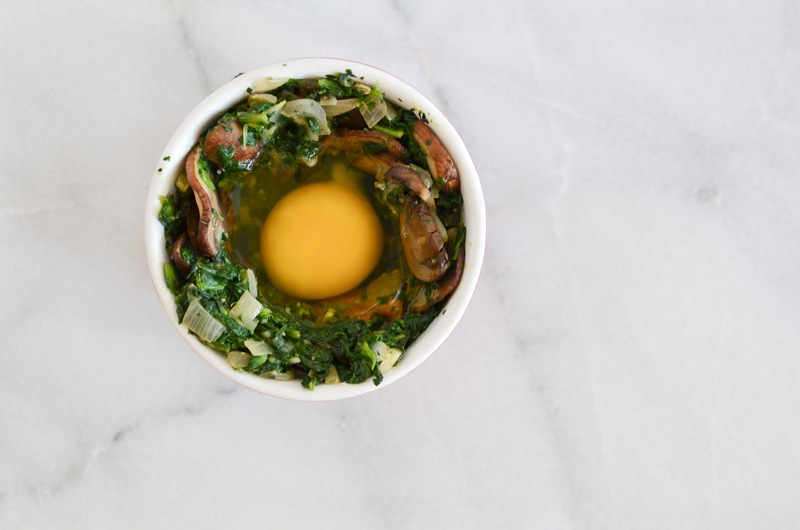 Combine all ingredients except for eggs in a large bowl and mix until thoroughly combined. Check seasoning and adjust with more salt and pepper as desired. Divide mushroom mixture among 8 half-cup ramekins, then press mixture against sides and bottom of ramekin to form wells. Crack whole, room temperature eggs into each of the wells, sprinkle each with a pinch of salt, and bake in a preheated oven at 400 F for 15 minutes. I love your photos! And this looks delicious and so simple. 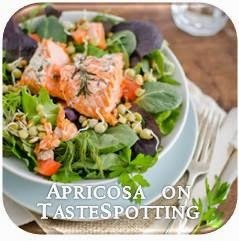 it really looks delish and once again you swing with your pics! Made it today. Big hit! Thx for the idea. 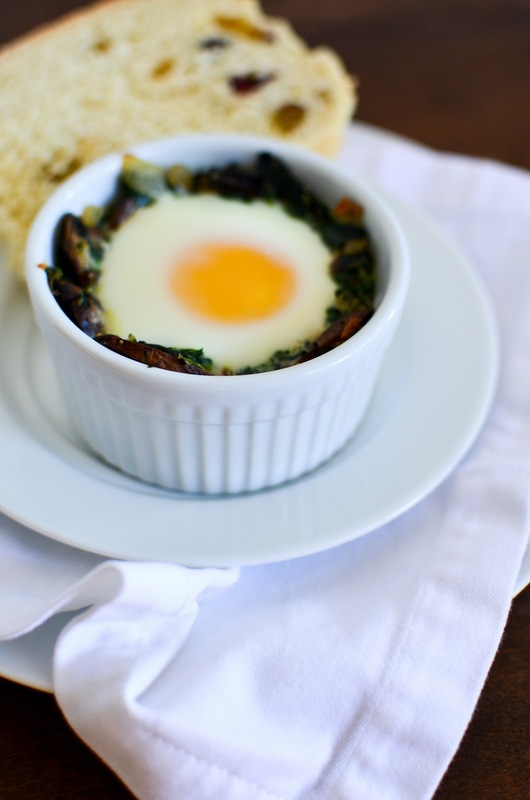 Hi Peggy, I'm delighted you enjoyed these baked eggs--thanks for the feedback!